Robert M. Knape, M.D., specializes in the medical, laser, and surgical treatment of cataracts, glaucoma, and complicated anterior segment disease. Dr. Knape majored in Chemistry and received his Doctorate of Medicine from the University of Virginia. 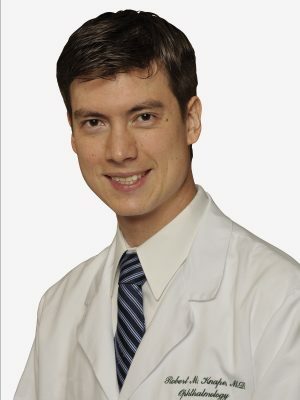 He completed his Ophthalmology residency at the University of Florida, followed by a fellowship in Glaucoma at the Bascom Palmer Eye Institute, University of Miami Miller School of Medicine. Dr. Knape is Board Certified by the American Board of Ophthalmology. He is a member of the American Academy of Ophthalmology, the American Glaucoma Society, and the American Society of Cataract and Refractive Surgery.